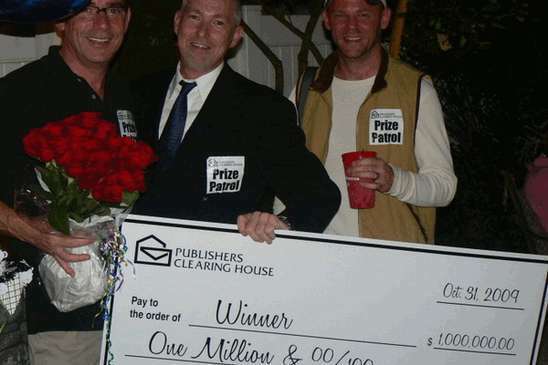 (SNN) - SPOILER ALERT: I DID NOT WIN THE PUBLISHER’S CLEARING HOUSE SWEEPSTAKES! I am not naive. I didn't believe it for a minute. I did not fall for your teasing when the first three letters arrived. You hounded me, sending me secret special numbers that no one else had (I felt so superior), stating that no purchase was necessary, although those little star windows where my magazine order showed through, obviously was to warn me that if nothing showed, the envelope was spat upon, burned and flushed down the toilet. Whew, that was a long sentence. I haven't budged except to walk two feet to my mailbox. It is not as if I went out to buy a lottery ticket. I was not the aggressor this time. You courted me. Listen to me. You are not dealing with a kid. I am cynical, been-around-the-block Jan. …But even the most wary among us, would start fantasizing. The very most horrific part of all was the people counting on me whose lives were put on hold because of my vows. All my friends and family were going to be financially free forever since I was going to give them all a bundle. I was donating most of the loot to the Cancer Association, Brain Tumor Association and Nordstrom’s on sale day. Okay, I am no angel. I was going to buy stuff for myself: some Armani suits, a few Donna Karan’s and a Mac, the computer, not that guy Mac — since that would be illegal. I was going to trade my l5 year old sports car for a newer one. See, I had daydreams too. I am ready to submit. Hear that fellas! Photo by: COCOMARIPOSA flickr photostream, Some Rights Reseved, The Sage nor this article endorsed.